Hello, I have a very quick post for you today! 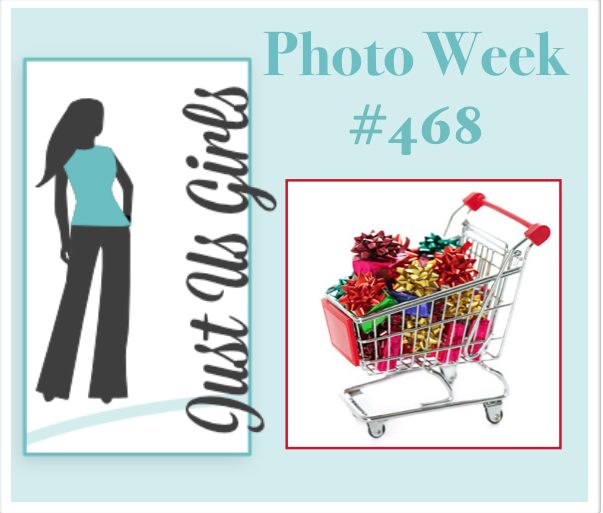 The above card is for Photo week at Just Us Girls and this card was easy and fun to put together. Next time I will do a better of making my stamping more uniformed, but as I said it was a quick one. I used the bow from the new to me SU set- Wishing You Well. The Christmas part of the sentiment was made with letter dies from MFT. The Merry diecut is cut out of sparkly silver and was a gift from a friend, so I don’t know whose it is. I love it though! Categories: Cards | Tags: Card making, Cards, Christmas cards, my favorite things | Permalink. So wonderful with all the beautiful bows. What fun and pretty card. Love all the colorful bows. I just ordered this set. Can’t wait to get it and play with it. Thanks for the inspiration. I LOVE that stamp, have used it often. You have really used it beautifully here. I really like how you made a background from it. Wonderful colors too, how very festive. Also love how you have inlaid the greeting, very nice. Just a great card all around!!! Those sheer bows are fabulous! I thought those bows were real sheer bows at first! This is such a pretty card! Happy holidays! I’m with Lisa. I thought those were real bows too, Nancy. What a great stamp to give such softness to the bows. (BTW the word die is from PTI). My first thought was the ribbon was real also. Such softness achieved. Love the traditional colours. So very pretty Nancy. I thought that ribbon was real!!! Oh my goodness, they look so sheer and perfect! Wow, I love this card Nancy! Those bows look absolutely gorgeous! I love the random stamping and the sheerness of those bows. The sparkly Merry paired with the white Christmas banner look fantastic. Wishing you a very merry holiday break! I was so positive that I left a comment on this one, but I do not see it. 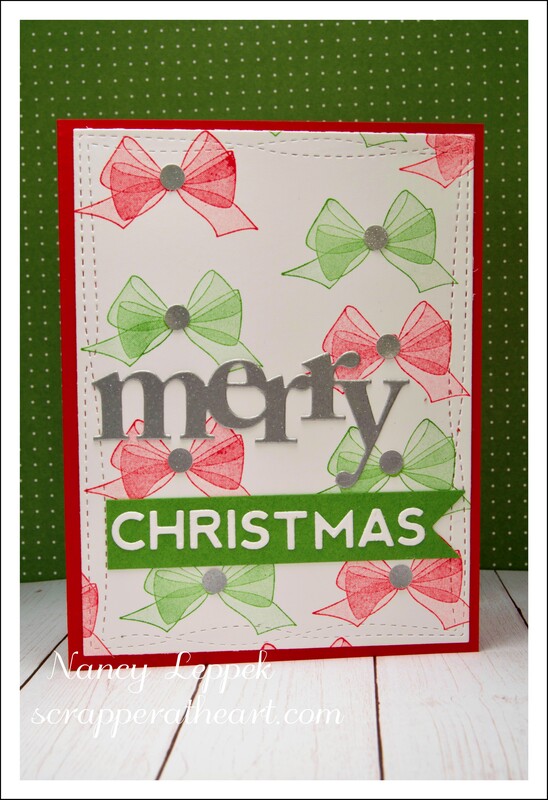 That bow stamp is amazing and I almost bought it when I saw it on your card. I love how you used it to make a background. So well formed and designed.